Mayor-elect Bill de Blasio’s “tale of two cities” mantra doesn’t just apply to voters. New York’s iconic arts institutions have done well for themselves under the Bloomberg administration as smaller groups and individual artists say they have struggled. But many arts and civic leaders see an opportunity in direct the new mayor’s policies by establishing a master plan to guide the growth of the arts. A myriad of arts organizations strongly supported a bill that called for the development of a cultural plan influencing how city agencies distribute arts funding at a City Council hearing in Manhattan on Tuesday. Arts organizations had two major concerns throughout the hearing — the distribution of resources to groups serving communities of color and underserved neighborhoods, and possible cuts to arts endeavors should the city enter a period of fiscal austerity. The city’s next budget will not get finalized until the middle of next year and City Council typically holds budgetary hearings to discuss department priorities in March. The Department of Cultural Affairs, the city’s main spigot of funding for the arts, has an annual budget of about $150 million and is planning to spend another $685 million in capital projects. But many arts leaders who testified noted that other agencies at the city, state, and federal level could be tapped for funding if a cultural plan identifies the needs and government officials find the right match. 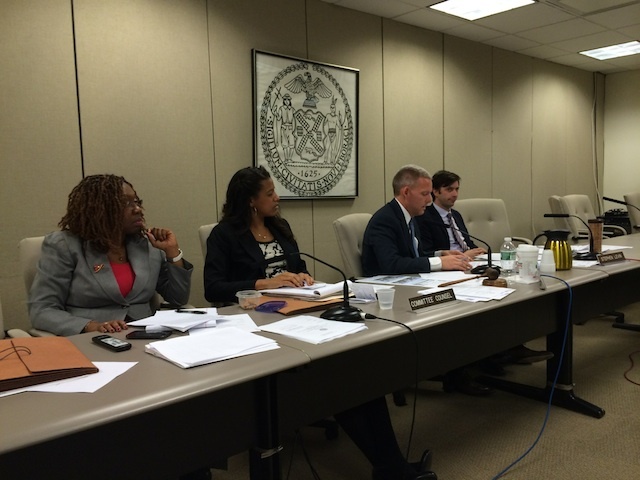 Councilman Jimmy Van Bramer, a former Queens Arts Council member and, along with Stephen Levin, the bill’s main sponsor, hopes to hold another hearing after compiling testimony. He anticipates passing the bill early next year. Van Bramer did not say how much the cultural plan would cost. Council sources put the proposal in the $1 to $2 million range but Van Bramer promised it would be “budget neutral” and that the new administration would understand the arts industry’s needs in a competitive environment. “We don’t want to lose a step, we don’t want to lose an edge, we don’t want to lose artists to other cities that may be playing hardball,” he said.